A TV programme broadcasting a nice family lunch turned pretty X-rated when an unexpected visitor decided to make itself very visible. 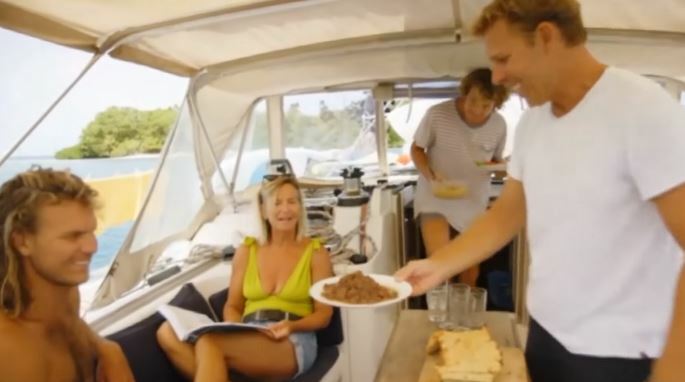 Broadcast from Danish broadcaster TV2’s Sail to Distant Shores – a programme which follows Mikkel Beha Erichsen and his family as they spend three years travelling around the world on a boat – the clip showed something definitely not family-friendly. Unless you consider penises family-friendly. The seemingly well-endowed sailor provoked so much hilarity that it ended up on Danish journalist Anders Breinholt’s talk show Natholdet. Before you get jealous though, it turns out it was just his foot. Despite the revelation, Breinholt has revealed that the sailor has since become a hit with the ladies back in Denmark, ‘even though it’s only his foot’.